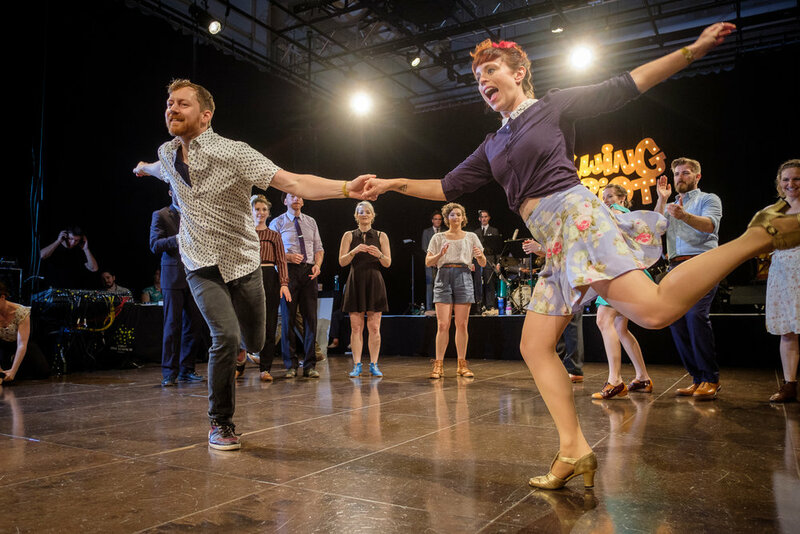 As a lindy hop dancer I have known about Montreal's Swing Riot for a few years. 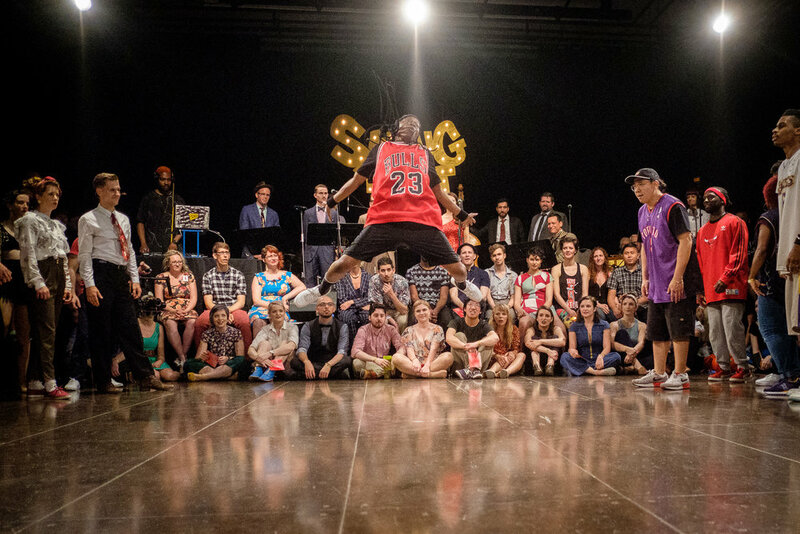 I had always hoped to make it one year as it brought something new to the swing world that I had not seen before, the yearly infamous Street Dancers vs Vintage Dancers Invitational Battle. 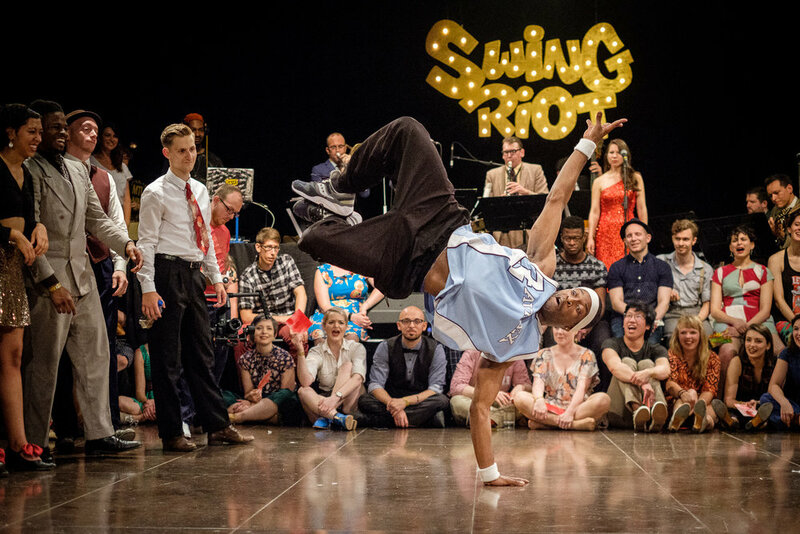 Professional lindy hop dancers can perform to a crowd and throw tricks just as much as the next professional dancer. Often thought of first as a social dance that your grandparents did (which it is), the showmanship side of it is equally as fun. 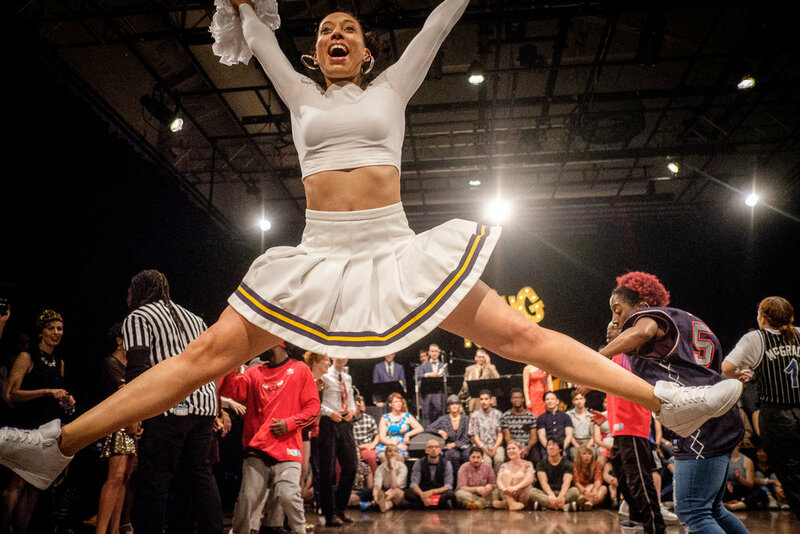 And when lindy hoppers compete, watch out, people will be flying in the air. 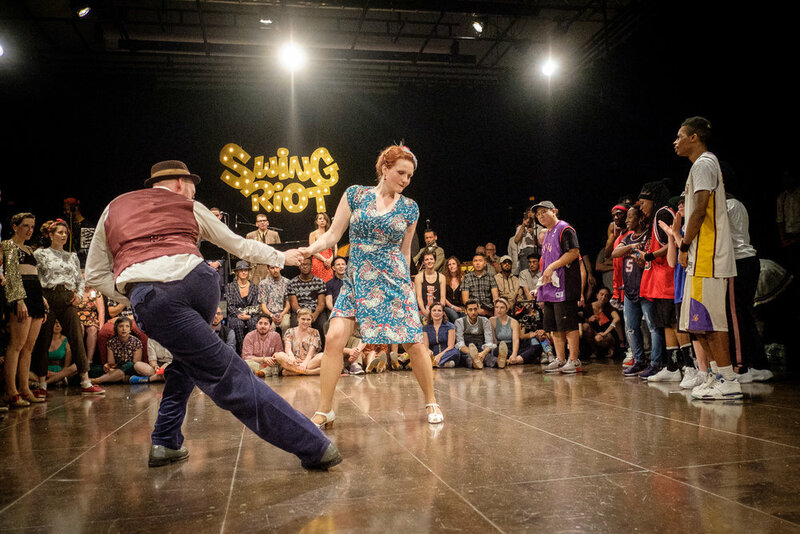 So at Swing Riot, two teams of vintage and modern street dancers were invited to battle against each other. 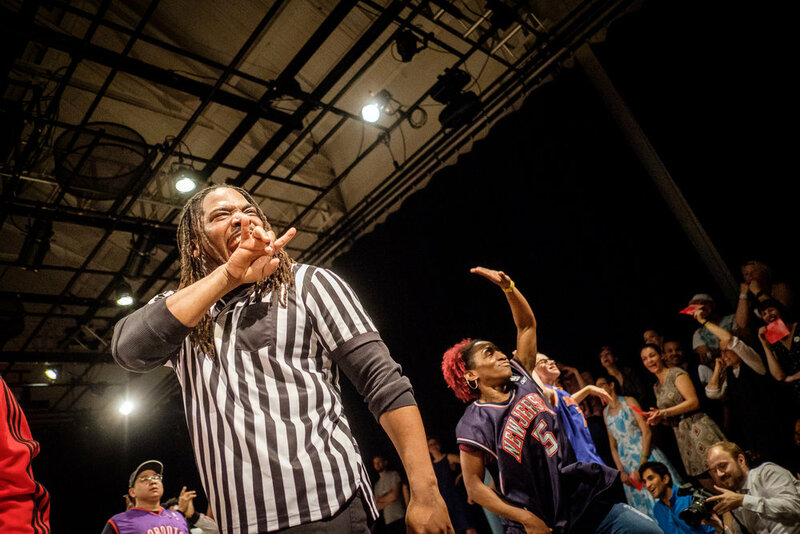 Since it was invitational you knew the dancers were going to be great and the battle was going to have you screaming. This year's battle didn't disappoint. Both vintage and street dancers were amazing. 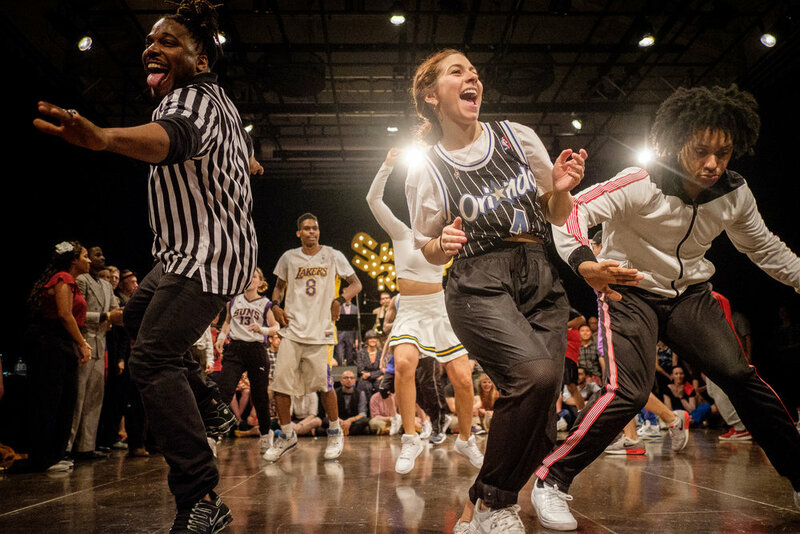 In the end, the crowd crowned the street dancers as this year's winners. Now for the technical side of this post. At the time, I had just recently upgraded my Fuji X-T1 for a Fuji X-T2. 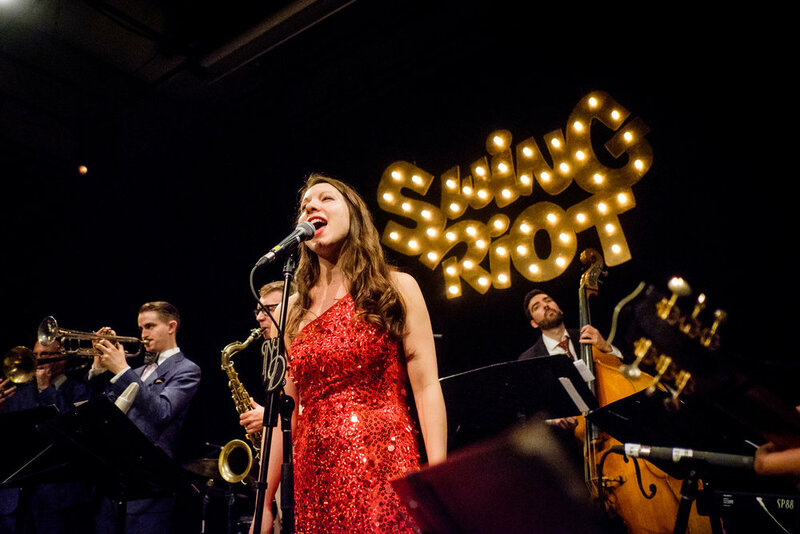 Because I wasn't the primary photographer for Swing Riot, I chose not to use my normal swing event OCF set up. I typically set up two flashes, but I wanted to test this camera and it's autofocus and low light capabilities. 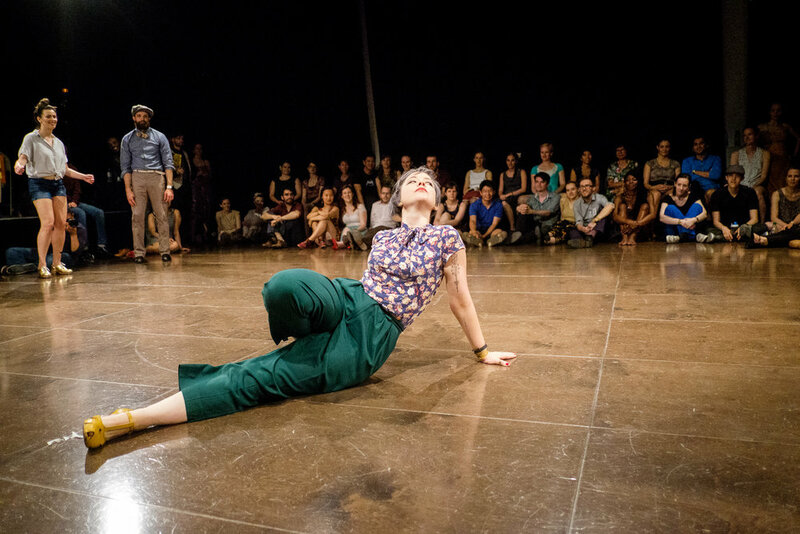 Seriously, photographing dancers (especially lindy hoppers) in low light with no flash is a huge camera test. Finally switching from my Canon 6D that I had been holding on to for solely this exact situation, to the Fuji was a tiny bit tricky. There's definitely a learning curve to the Fuji coming from a DSLR. I have been shooting Fuji primarily (except dance and a few weddings last year) for a few years now. I have loved my Fujis and always gush about them. But this was a new test. A hard test for a camera system that has been known to not have the fastest AF. After a few tests of different focus settings I finally started to feel comfortable with it and then by the end of the night I was convinced. This Fuji X-T2 could hold up to the Canon 6D. I had learned how to adjust my shooting and was catching the moments I needed to catch. So, since then, I have sold my Canon 6D. I finally felt like the Fuji could do anything the DSLR could do. It was a great feeling.